With tax season is here and the big day quickly approaching, we asked Eric Pemper from Quality Tax Relief what one of the most commonly overlooked taxes is for small businesses. His answer: Payroll Taxes. 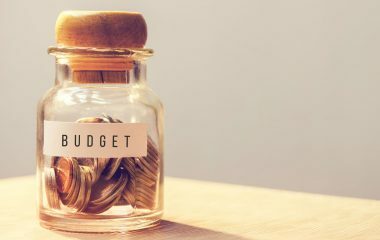 With the help from the team at Curadebt.com, Quality Tax Relief pulled together the following information to help you navigate through your payroll tax obligations. Payroll taxes in the U.S. are determined by the federal government and refer to the money withheld from an employee’s wages. Federal Insurance Contributions Act (FICA) taxes, typically need to be withheld from the employee’s wages and matched and reported by the employer. It’s important to take these steps and to avoid putting your business at risk of a tax audit and owing the Internal Revenue Services (IRS), something that can have serious financial and emotional consequences. Additionally, businesses are required to pay a Federal Unemployment Tax (due to the Federal Unemployment Tax Act (FUTA). This tax is not withheld from employees, instead it is collected from the employer directly. While this is different from your payroll taxes, it is a tax requirement that shouldn’t be overlooked. Generally speaking, a business will need to withhold federal income and FICA taxes from their employees’ wages. Even if you’re self-employed, you may need to withhold FICA taxes as part of the Self-Employment Tax. In addition, state and local taxes may apply and you’ll need to be aware of those even though they are not enforced by federal regulations. Employers must deposit and report employment taxes quarterly or, in some cases, annually (Form 944, opt-in program). In most cases, federal tax deposits must be made electronically, unless the small business exception applies to your business. If your employment taxes for either the current quarter or the preceding quarter are less than $2,500, taxes can be remitted with the quarterly (Form 941) return. When it comes to hiring consultants or freelancers that are not employees, payroll tax is not applicable. Sole proprietors, freelancers and consultants must remit taxes on their end. If you are a sole proprietor, self-employment tax will apply to your net income. These taxes are not withheld from your business’ income since generally you’ll be required to make quarterly estimated tax payments if you expect profits. A partnership does not pay any income tax at the partnership level. Use Form 1065, U.S. Return of Partnership Income, to report income and expenses. A limited liability company (LLC) will handle employment taxes in a different manner than an S corporation only in the instance when the LLC accepts the default classification from the IRS to be treated as a sole proprietorship or partnership. An LLC can elect to be classified as a C or S corporation, in which case payroll taxation is the same as it would be for those entities. This type of election does have an impact on income taxes, and for a C corporation imposes a corporate tax. A business owner may fail to withhold or remit the required taxes for a number of reasons. Sometimes they were too busy, or it seemed too overwhelming, or perhaps they had financial trouble. Unfortunately, no matter what the reason is, your taxes won’t go away. In the end, the IRS will come for theirs. 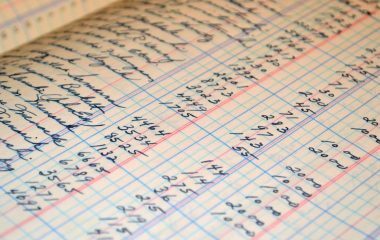 It is absolutely crucial to stay on top of payroll tax requirements and filings as the money you owe can quickly add up—something manageable can grow into a serious situation where your assets are challenged. Note: Even if you haven’t heard from the IRS, interest will continue to build on the money you owe. These “failures” can amount to somewhere around 33% plus interest, if you don’t pay in a matter of 16 days after filing form 941 (Payroll Tax Return), according to AccountingWeb.com. When completing payroll you need to figure out the amount you, as a business, have to pay for FICA taxes so that you can regularly set those amounts aside. You’ll make payments to the IRS either monthly or semi-weekly, based on the size of your total employee payroll. Then, you’ll need to report on your payroll taxes quarterly using Form 941. Any late payments and fees or penalties will apply. 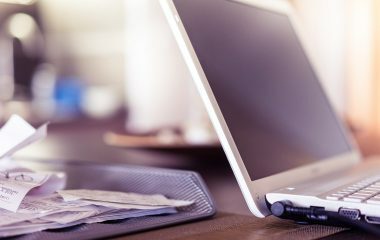 Federal payments can be made online through the Electronic Federal Tax Payment System (EFTPS), or through financial institutions authorized to accept federal payments. If you prefer to pay through a financial institution, each payment must be sent along with Form 8109. That form can be obtained from the IRS by calling them or from their website. If something in the process above goes awry and the IRS targets your business (or you personally if the Trust Fund Recovery Penalty is assessed) options for resolution with the IRS are available. It is important to speak with a tax resolution specialist to identify the best option to resolve the matter. Applicable Large Employer Members are required to file Form 1095-C. Employers uncertain of payroll duties can consult Publication 15, a guide that explains your tax responsibilities as an employer. To keep your business out of trouble with the IRS, all forms and deposits need to be made on time and accurately. Set reminders on your calendars, in your email and smartphone. It’s important to set aside some time to research and organize what’s required federally, as well as at the state and local levels. For instance, FUTA taxes are typically paid quarterly, while income and FICA taxes are deposited semi-monthly or monthly. The IRS will usually send business owners a notice at the end of the year to specify the method to use. Quality Tax Relief can help resolve your Federal as well as State personal and business tax problems. Quality Tax Relief follows a meticulous process to ensure that you get the best possible resolution that you qualify for. 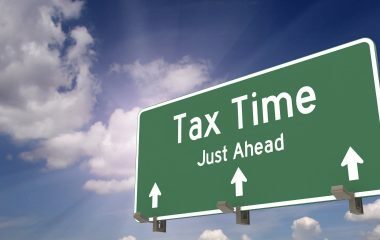 Visit www.qualitytaxrelief.com or call 877-410-8384 to get a free consultation with a tax account executive today. Quality Tax Relief has been a PaySimple partner since 2015, read their PaySimple story. Dustin Seitz is a Customer Success Manager at PaySimple, and he thrives on helping small businesses grow. When not chatting with our customers, Dustin spends his time in the mountains, climbing, camping, fly-fishing and skiing, or sniffing around for new breweries to explore in the Denver area.